Have you ever heard the ominous drum of impending doom, beating relentlessly inside your head? Do you know what it feels like to fall endlessly, but never hit the ground? Have you ever felt so scared that you are a prisoner of your own mind, but you can’t even remember what it is that you are afraid of? For the sake of your sanity, I hope not. As a child who suffered from crippling and irrational fears, Jamie was not the typical candidate to start hitchhiking alone through Europe. Yet at the age of 25, tired of a mundane life involving routines and comfort, he gave up everything and put his trust in the goodness of strangers. 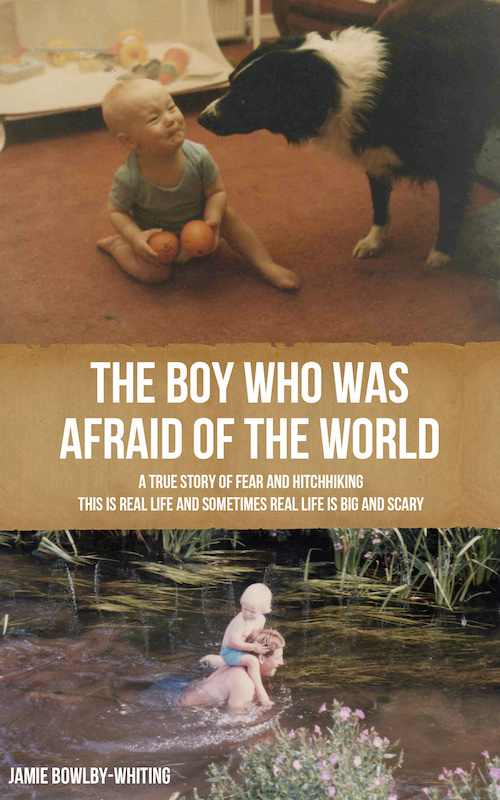 Told in the first person, this true story encapsulates the dizzying highs and desperate lows of what happens when a fearful individual chooses to let go of everything and travel alone through the world, sleeping under the stars and in the homes of strangers. It is a story about places, about people, about the constant internal battle that occurs during six months on the road. This is not an epic adventure or a travel diary. This is not a story about defeating fear and being courageous. This is an internal roller coaster spread across a whole continent. This is real life, and sometimes real life is big and scary. This story is available to purchase from Amazon in both digital and paperback formats. Click here to purchase it or download a free sample. If you purchase the paperback version, you can download the digital version for free. If you are a reviewer and are interested in reviewing this book, please read this page. Comments are currently closed on this page as I would prefer for feedback about this book to be left on public sites such as Amazon and Good Reads. I also posted a lot of this story (in blog format) on this site. You can read about the hitchhiking journey around Europe here. If you would like to read the first few chapters of this book before you buy it, you can download a free sample from Amazon or click one of the links below to download a sample (note: if you click the .pdf file, it will open, then you have to save the file to your computer).